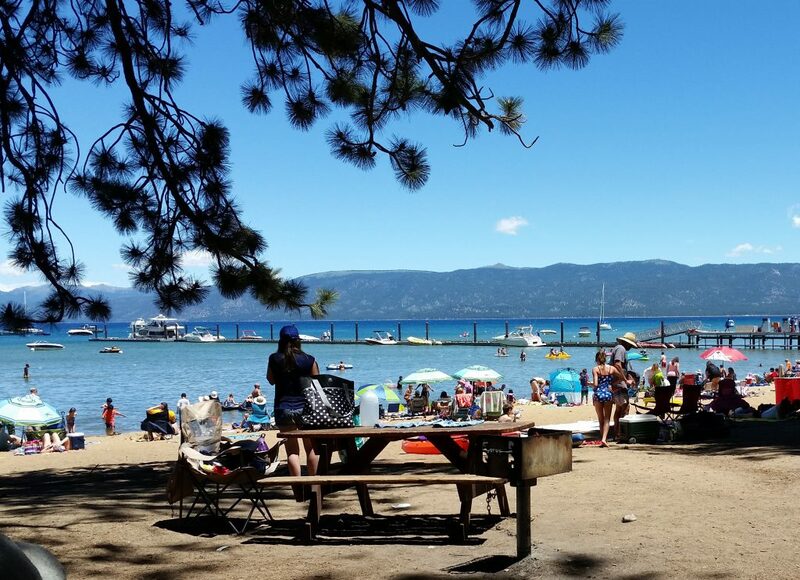 Camp Richardson is an expansive beach with live entertainment on weekend afternoons in the summer. The Beacon Bar & Grill (my favorite local restaurant) is located right on the beach for your dining pleasure. 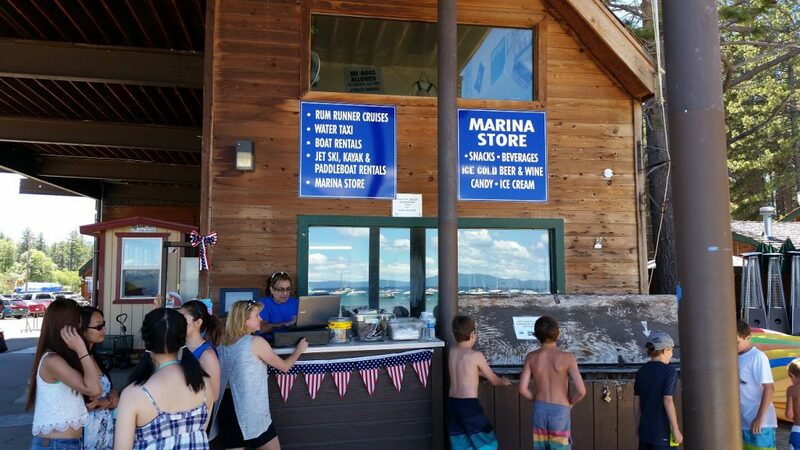 The Camp Richardson Resort Marina is also next door providing food, watercraft rentals and restrooms. You can bring a feast and grill in the barbecue pits provided. 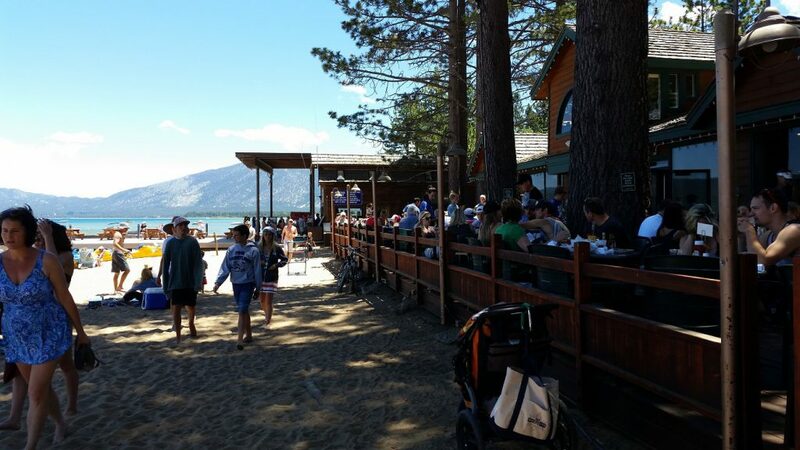 There are plenty of picnic tables and restrooms to accommodate you and your friends. If you want to pack nothing but your beach towel, Camp Richardson Resort is capable of supplying all your other needs. 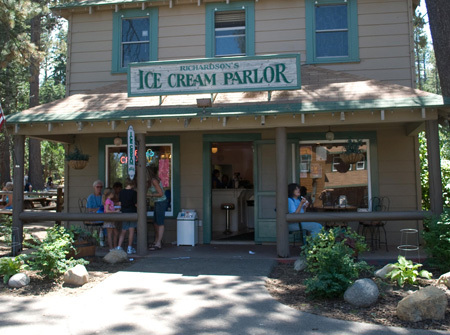 Camp Richardson Resort also provides camping, hotel and cabin accommodations, a general store, ice cream shop, bike rentals and non-stop fun. 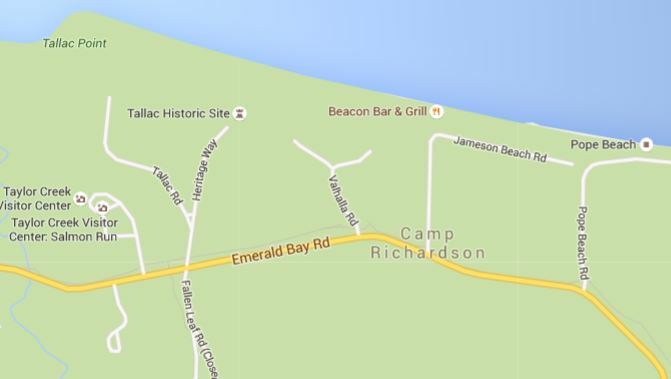 Camp Richardson Is located on Highway 89 on the south-west side of the lake. 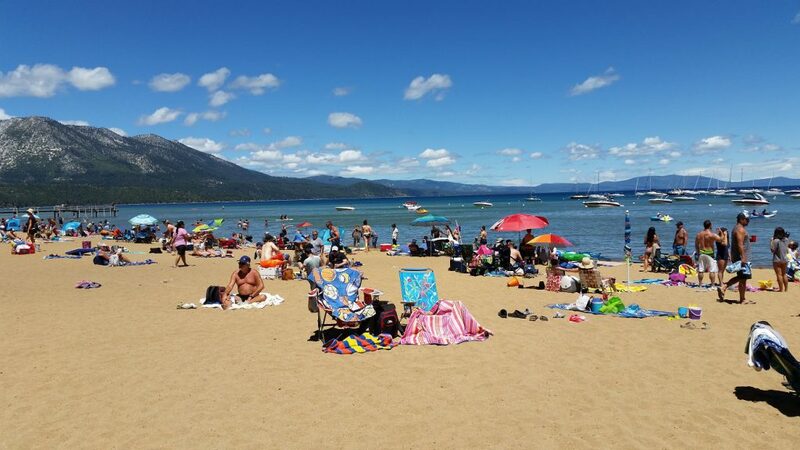 Take Highway 89 (Emerald Bay Road) to Jameson Beach Road. No dogs allowed. Parking is $10.